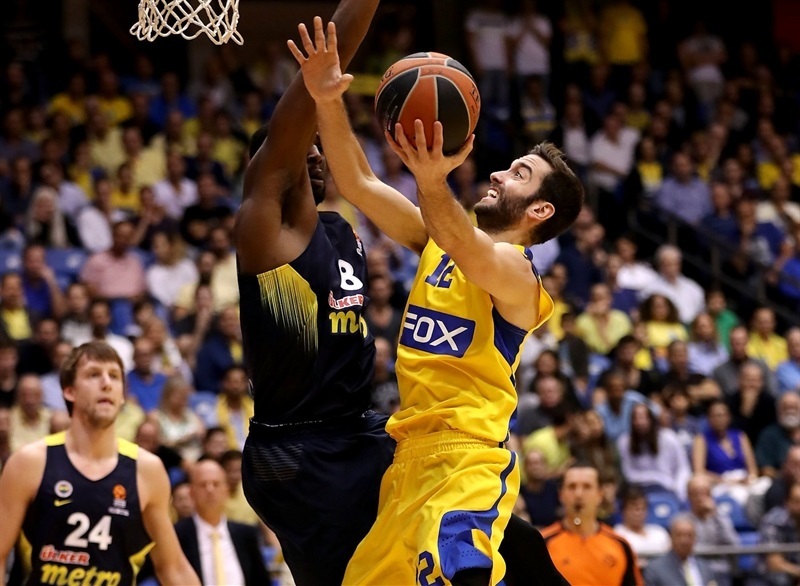 In a battle of Turkish Airlines EuroLeague powerhouses, Maccabi FOX Tel Aviv grabbed its second home win of the season by downing Fenerbahce Istanbul 87-77 in front of over 11,000 fans at Menora Mivtachim Arena on Tuesday. 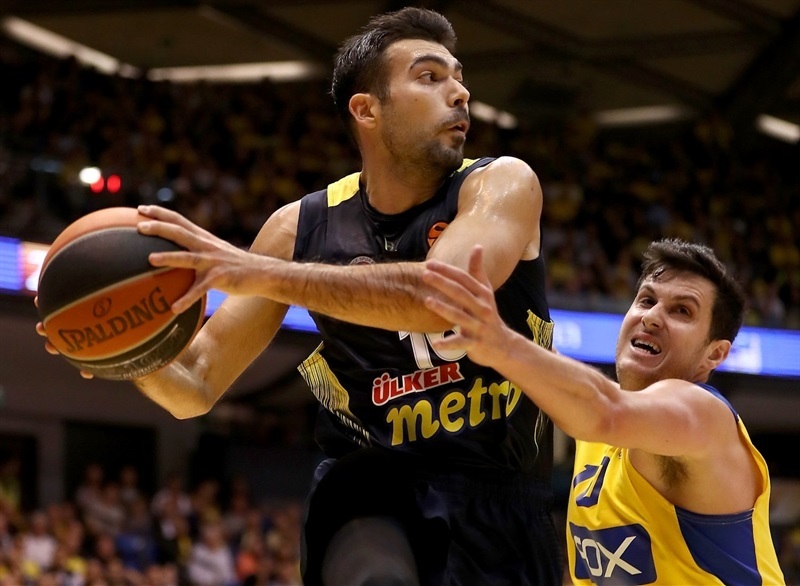 Maccabi improved to 3-4, while Fenerbahce dropped to 4-3 after registering its third consecutive loss. 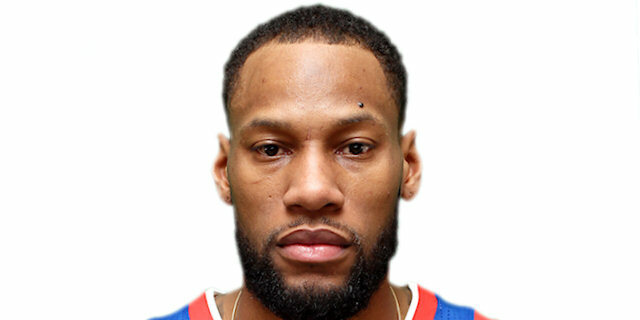 Sonny Weems led the winners with 22 points. 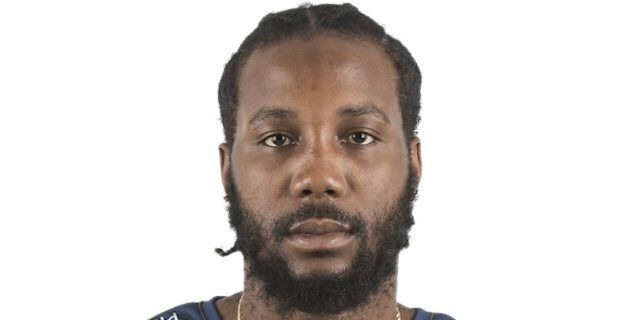 Yogev Ohayon added 19, Devin Smith scored 15 and Victor Rudd 10 for Maccabi. Ekpe Udoh scored 17 points for Fenerbahce, Jan Vesely added 16 and Kostas Sloukas 10. 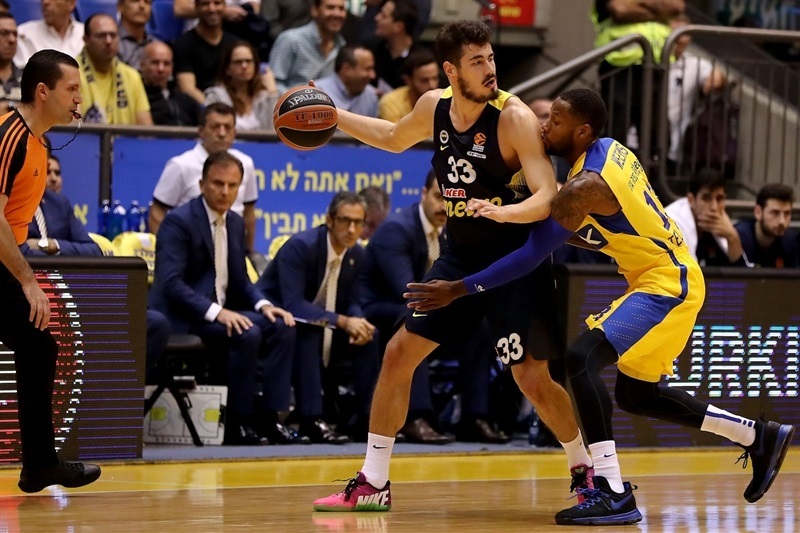 Good shooting percentages (66.7% 2FG, 41.7% 3FG) and a 28-point second quarter pushed Maccabi to a 43-39 lead at halftime. The hosts rolled in the second half behind Weems and Smith. 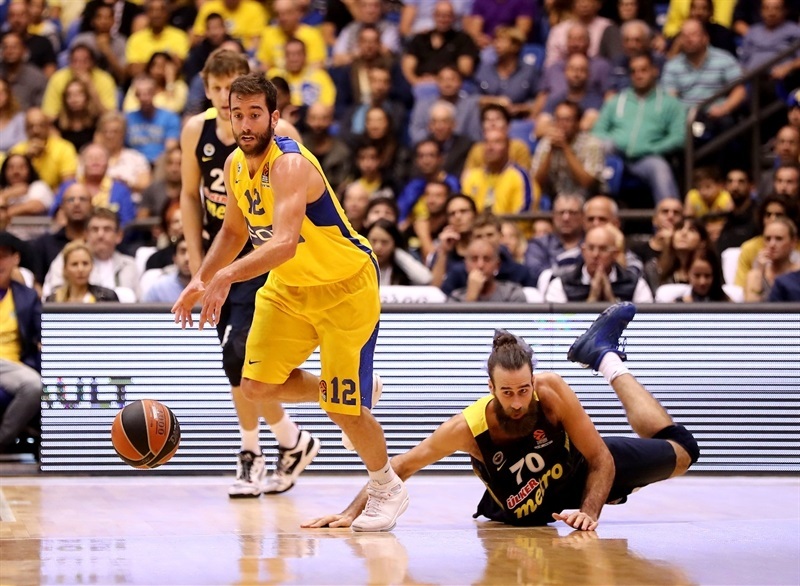 Maccabi dished 25 assists, collected 13 steals and kept shooting well throughout the game to lock up the win. Udoh got Fenerbahce going with back-to-back baskets and Bobby Dixon soon added an off-balance jumper for a 2-8 lead. D.J. Seeley and Colton Iverson stepped up for Maccabi, but Vesely followed a three-point play with an alley-oop slam to keep the guests in charge, 8-13. Ohayon had 7 quick points, including a big three-pointer before Fenerbahce called timeout at 15-15. Free throws by Sloukas fixed the score at 15-17 after 10 minutes. Weems followed a backdoor layup with a three-pointer to give Maccabi its first lead, 22-21, early in the second quarter. 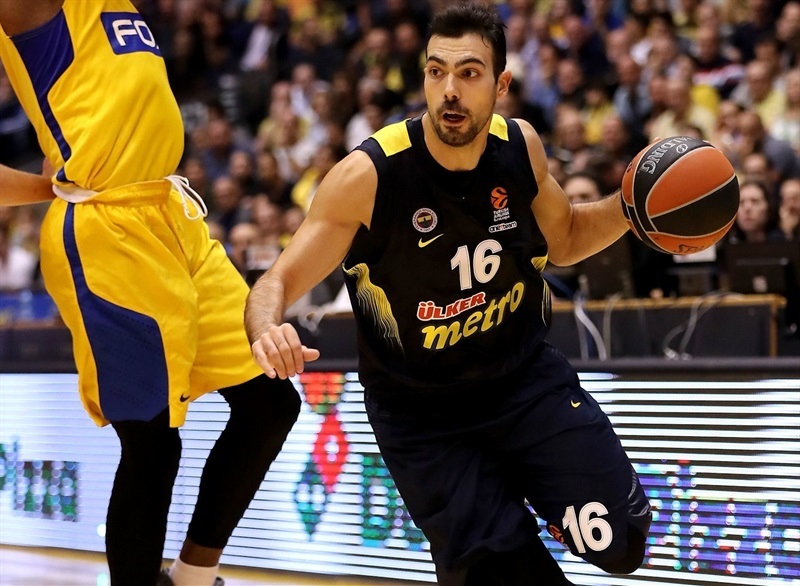 Sloukas and Luigi Datome joined the three-point shootout and a layup by Nikola Kalinic restored a 26-29 Fenerbahce lead. Maccabi found a new go-to guy in Smith, who had 8 points in an 11-0 run that he capped with a triple. 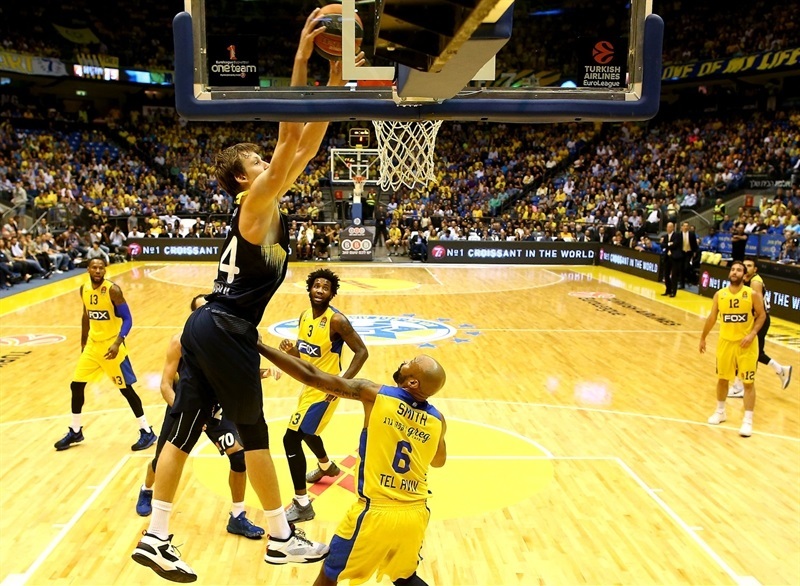 Udoh rescued Fenerbahce and a buzzer-beating jumper by Vesely kept the guests within 43-39 at halftime. 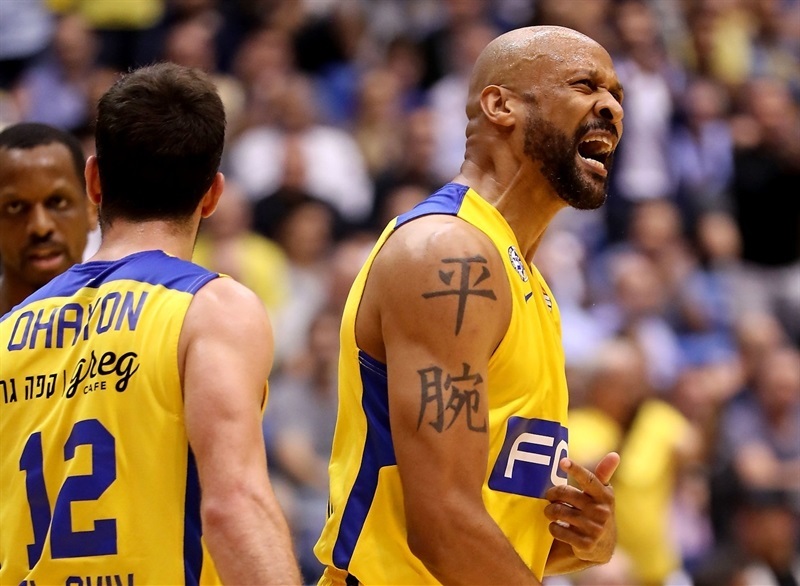 Datome struck twice from downtown right after the break, but an unstoppable Weems kept Maccabi fully in charge at 51-45. 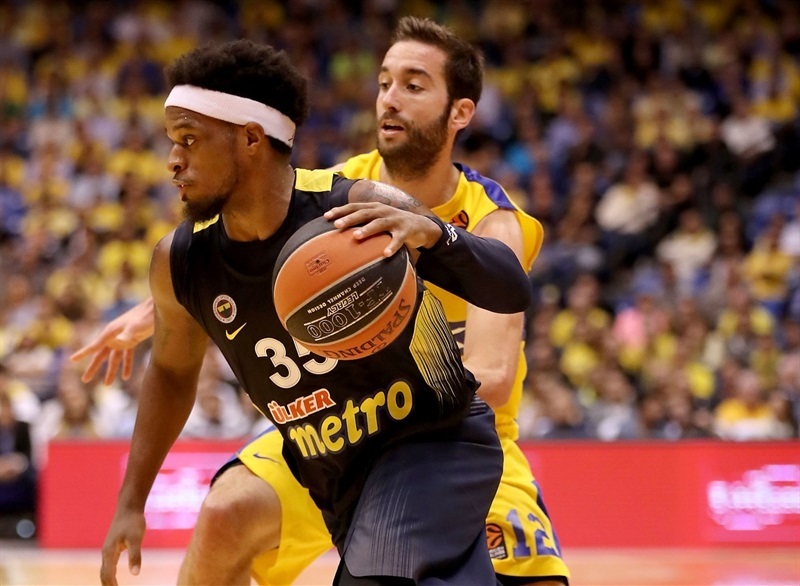 Udoh scored down low and Dixon followed a jumper with a three-pointer to bring Fenerbahce within 53-52. Weems kept pacing the hosts with back-to-back layups and a huge dunk to take a 62-54 lead, which Sloukas and Dixon cut to 66-60 after 30 minutes. Maik Zirbes and Devin Smith took over to give Maccabi a 12-point lead early in the fourth quarter. 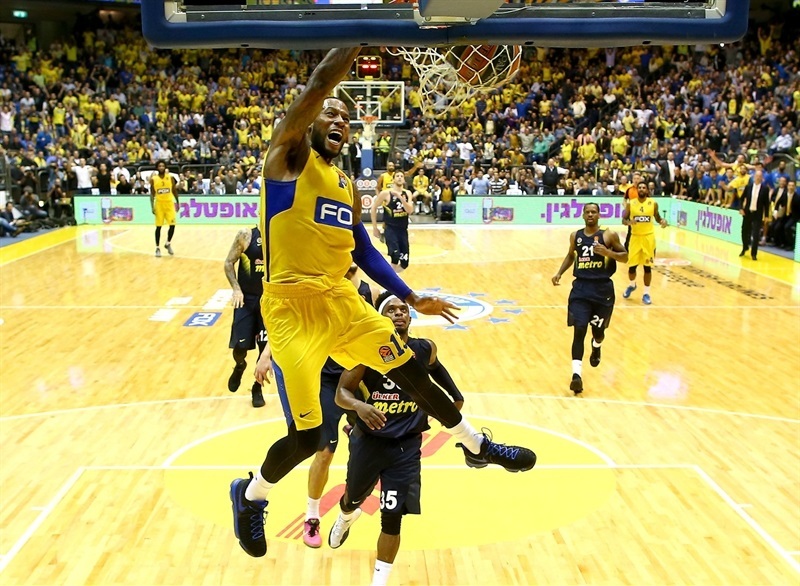 Maccabi soon boosted its margin to 76-60 and, backed by a great crowd, kept a safe margin from that moment until the final buzzer. 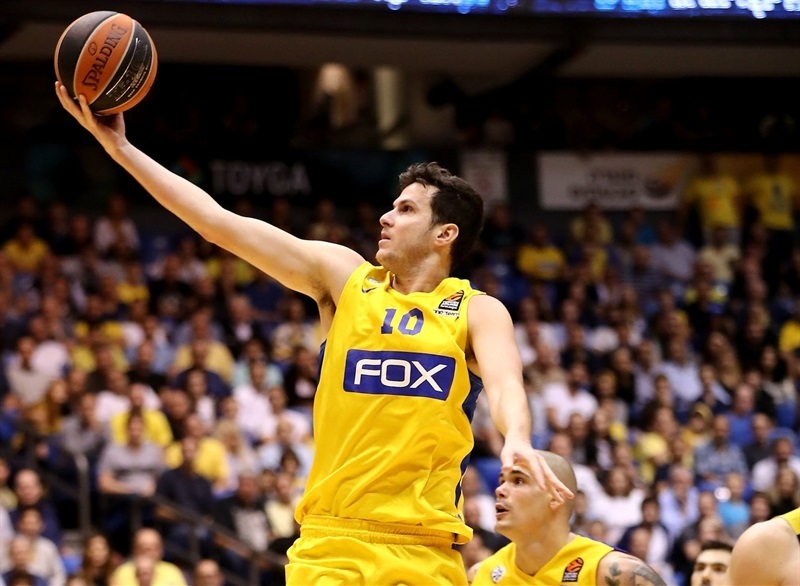 "I think today is the first time this season that the spirit of Maccabi came out. We played tough defense that created us a lot of open court opportunities, which we used well, better than we have until now. I think that was the key for the win. Goudelock had some sort of problem with his ankle and could not play. I knew about this afternoon, we had to deal with not having him and we were able to do so. We are in the middle of a process as a team and we'll continue that process. As great as this win is, it doesn't give us a single point against Kazan on Thursday." "First of all, I want to congratulate Maccabi because they played a very good game, very aggressive, which is Maccabi's style. They tried to run and scored a lot of points in transition. We were not able to stop their transition game. We talked about this and try to prepare ourselves for that, and a lot of these points came after really bad turnovers that my players did. To really understand the game, we saw the statistics and found over there that we had 13 fouls and Maccabi shot, if I remember well, 15 free throws. This means that every foul led to free throws - this is how you use fouls. A team with experienced players, that played a lot of games in the last two years, doing this kind of games. Nothing to do - the final result is let's say correct for us, only 10 points, after how things were in the second half, it could have been a bigger loss. Congratulations again to Maccabi. It is always very nice to play over here because people understand basketball very well. We knew that Andrew Goudelock would not play the game. It would sound like an excuse if I say Bogdan Bogdanovic didn't play. I believe that everybody in our team understands how important Bogdanovic is for us and I don't like to talk about a player who is not present. 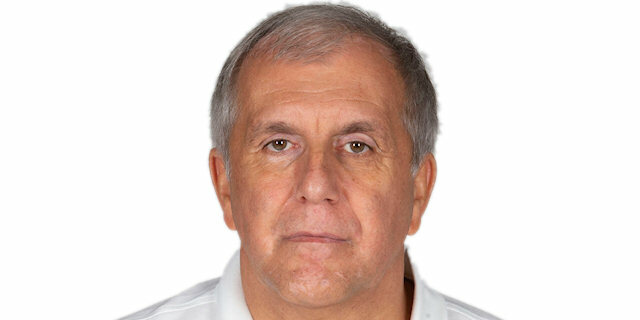 We have other players and Maccabi was in the same situation with Goudelock." I feel like personally, I had a five-game stretch in which I didn't really get into the game. I'm just glad I was able to leave my mark out there today. The fans have been amazing since I got here and I'm glad we finally gave them something to cheer about." "I think we just got tired of losing. We came out as a unit and got a great team win for our fans. There's no doubt that it was mainly a mental issue, because everybody knows the talent level we have. I hope we can continue to build on this going forward. We still have a lot of work to do."